Sharesoft manages all the securities, investors, shares traded on the stock exchange on the South Pacific Stock Exchange. It now allows Stockbrokers, Publicly listed companies, and Investors to access their own accounts and to view their trading activities, and statements. ShareSoft is a web based system which is hosted on the cloud. Users can access the system from anywhere in the world, at any time of the day, 7 days a week. View the application via any desktop, laptop, tablet, smart phone or hand held device with a web browser and internet connectivity. Share Registry Users are no longer constrained by time or location. Process share transactions and dividend distributions in real time. Investors and Stockbrokers can log in and access the latest, real time information. Enquire about portfolio balances, market prices and transaction statements at a click of a button. Want to download the Company Share Registry for a listed Security as of December last year? Not a problem, ShareSoft allows users to pull statistics and listings as they were as of any specified date. Easily manage lookup tables, CSR fees and rates, current market share prices and user access into the system. Easily process bulk transactions and print bulk statements and cheques. Maintain details of registered Securities. Add and update Security information. Also generate invoices for each Security from this module. Maintain details of registered Shareholders. Update their general details, dividend modes, and preview their active certificates. Maintain details of registered Stockbrokers. View or update their contact details and manage the representatives for each Stockbroker. This module handles all the Transaction Processing in the system. Process share transactions and dividend distributions. Re-Issue and Print dividend cheques from this module. Enquire details regarding any transaction posted into the system. Generate and download critical real time reports. Manage system parameters such as look up tables, Security invoice fees and rates and current market prices. Add and update internal and Stockbroker users and control their user access levels. 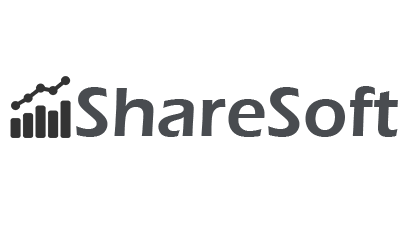 ShareSoft is well suited for Publicly Listed companies , Securities Stock firms and Stock Exchanges.